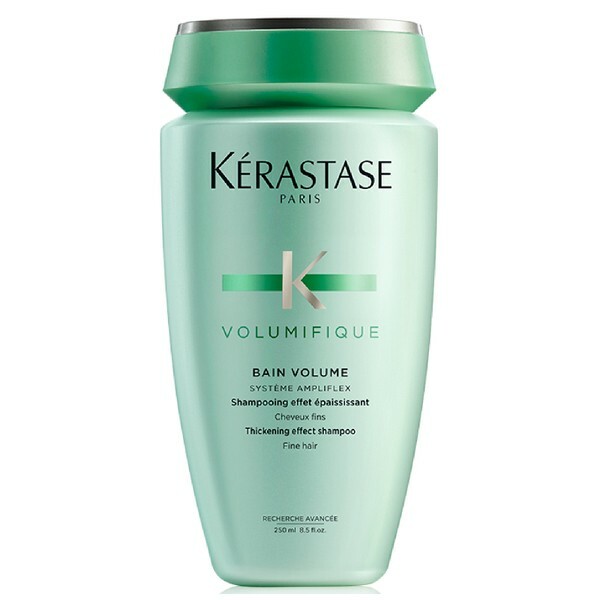 Kérastase's Volumifique Gelee is an innovative translucent gel conditioner designed to give your hair volume, lift and texture without compromising lightness. 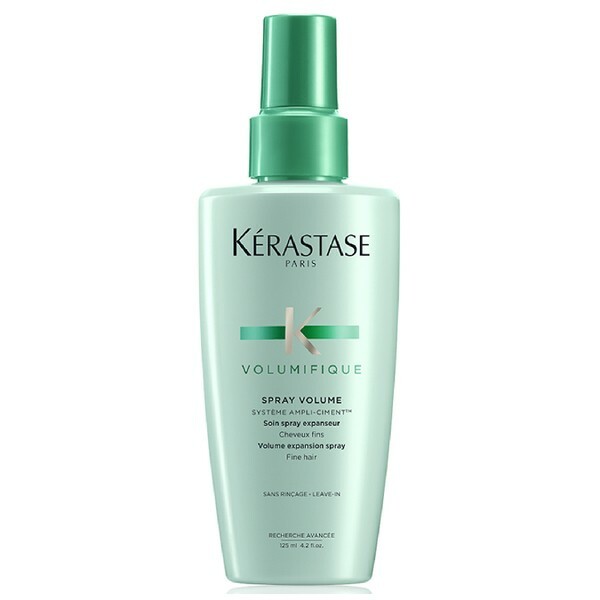 Deeply nourishing, it works with cationic polymer technology to target vulnerable zones in the hair to add thickness and give a glamorous shine. 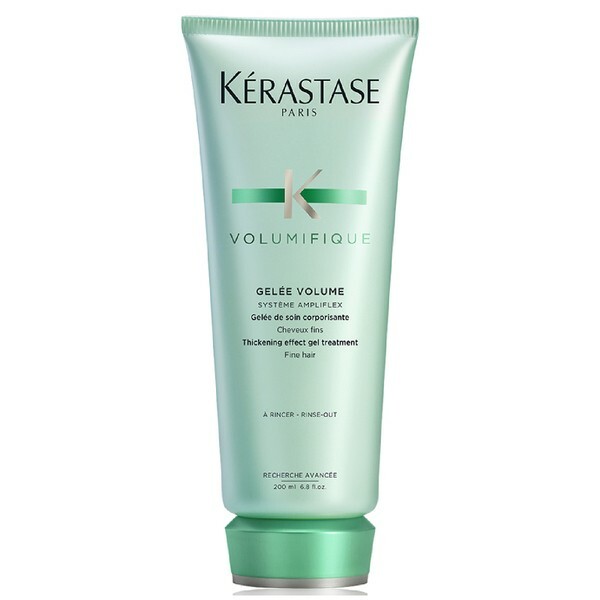 Suitable for fine hair of any length, the Gelee formula works on the interior and exterior of the hair fibres to enhance shape and volume without overloading. 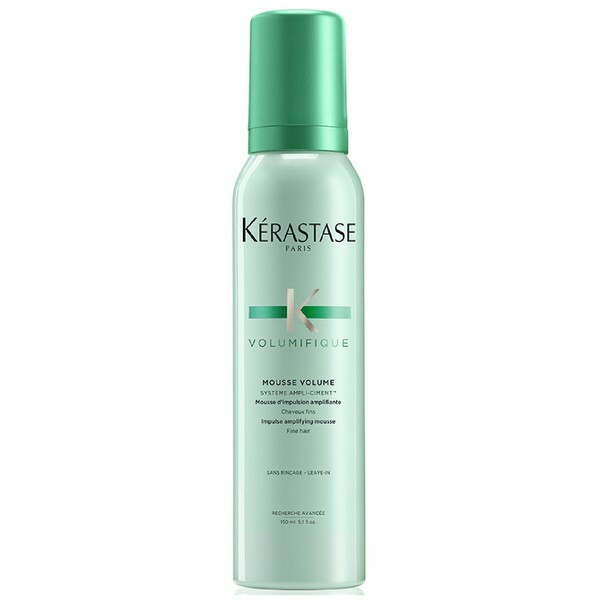 Also giving long lasting shape memory by working to reinforce the structure of your locks, this lavish conditioner is sure to give you long lasting, noticeable results. Delivery is FREE to a UK postal address. Place your order before 2pm and your order will be shipped on the same day. Orders placed after 2pm or at weekends or national holidays will be shipped on the following working day. FREE shipping orders are usually sent by Royal Mail and typically take 3-5 working days for delivery. However, we use a variety of delivery services, and the method used for your order may vary depending on the items ordered and your location. If your order is urgent you can alternatively opt for express delivery (just £5.95 per complete order to a UK address). Bear in mind that somebody will need to be in and able to sign for a courier delivery, so if nobody will be at home consider having your delivery sent to your workplace. For orders going to destinations outside of the UK shipping costs are based on total order weight, so add your items to your basket, proceed to checkout, enter your address and country and the various shipping options and costs to your destination will be displayed. We are acutely aware of our impact on the environment and The Salon Look is taking active steps to reduce its carbon footprint. We are constantly working towards and aim to be carbon neutral. Wherever possible we use recyled and recyclable packaging materials that are easy to dispose of in an environmentally friendly way. Our loose fill (packing chips), for example, is most definitely not polystyrene. We use environmentally friendly Eco Flo, a natural packaging material that is 100% biodegradable and fully compostable that is actually made of corn starch. Our boxes are all recycled and bear the RESY symbol confirming this. And that's not all. Our main courier, DPD Local, is also committed to carbon neutrality and has a Total Zero policy in place. Through Total Zero, Interlink Express will ensure that every parcel sent via its network will be carbon neutral - and at no extra cost. We want you to be totally in love with your shopping treats, but if they don’t hit the spot you may want to return them. Obviously this is highly unlikely, but just in case you do, you can cancel your order and return it to us within 30 days of purchase. Call us picky but it does need to be in its original state. So just to be clear, that’s completely unused, with seals intact and in its undamaged original packaging. As the items are your responsibility until they are back at The Salon Look HQ, it’s best to send them using a secure delivery service that requires a signature upon delivery. But before you do, please send us a quick email to customerservices@thesalonlook.com quoting your order number so that we can give you a unique returns authorisation number. We won’t hang on to your hard earned cash either. Refunds are made within two working days of an order being cancelled and the goods having been returned to us along with the original receipt. © Copyright 2018 by The Salon Look Ltd. All Rights Reserved.